Hello, all! It's been barely a month and half into the year and I can't believe I'm saying this but I seem to be lacking the drive for blogging? I don't honestly know why, but as much as I want to be active in this corner of the blogosphere, I don't seem to be actually doing anything about it. I can list reasons as to why this might be, starting from a tumultuous few weeks with a cousin marrying, to me deciding to pursue my MSc in Psychology this year, but that shouldn't be really a cause for this absolute...lethargy I have when it comes to reviewing. I've been thinking this through and the only valid reason I can think of is that the very idea of reviewing has started to feel burdensome to me. I don't know if any of you went through such a phase but has reviewing never taken a toll on you? From the minute I start reading a book up I start picking up on what I want to include in my review and what not to, what the author has done right, where the author faltered, I take notes on details relating to characters and basically, I end up reading with reviewing the book in mind and that kind of takes away from the pleasure of reading. So it won't come as a surprise when I say that not only revieiwing, but reading itself has started to lose its appeal to me. It's downright alarming and the more I think of it, the more I'm appalled. This isn't a situation that just suddenly cropped up- I've actually been going through this since the latter half of last year too. I've been busier but that never used to make READING seem unappealing but now here we are. Would you believe it if I said I have more than 30 physical books I'm yet to get around to? Some of these I got over 3 years ago, some ARCs that should have been reviewed by last year, last month, this month. I used to not have a single unread book on my shelf and now this..? WHO EVEN AM I?! Idk, I mean, maybe there has been an alien invasion and the real Ruzaika has been abducted. You can never be too sure. Haha, that was me in denial. But I know better and I've therefore decided to do something about this positively awful, completely unacceptable situation. First, I need to get rid of distractions, obviously, and for that I intend to let my obsession with kdramas and South Indian cinema (okay, one actor in particular- Suriya) take back seat. There's only so much time a person can spend on things, so with uni, reading, blogging and other life stuff, I shouldn't be wasting time on other stuff. I'm not saying I'll give up on these altogether, but I'll definitely be prioritizing what actually needs to be done. I don't honestly know how long I can keep up with this but I hope to spend at least half an hour each day on blogging, blog-hopping and the likes, and another half hour for reading. No excuses. This sounds doable right? LET'S ALL KEEP OUR FINGERS CROSSED, OKAY? And now about reviewing itself. I've somehow let this whole process turn mundane? I read something the other day by this film critic I follow where he expressed how it's scary that he has ended up expressing some version of the same sentiments in different reviews. "Because movies themselves don’t change all that much, writing reviews is also about finding newer ways to say the same old things." This struck a chord with me because this is exactly what reviewing books has turned out to be for me. 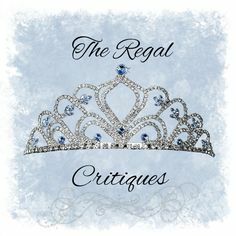 Comment on the plot, characters, relationships, writing style, and then wrap up the review with some final thoughts on the book overall. That's basically all there is to it. I've mentioned this before too, but I'm going to have to experiment with different reviewing styles. I'd say I'd try a different medium altogether because I talk more freely than write about books but that would require actual technical finesse and the confidence to speak to an audience and uh, I have none. So writing reviews it is. If all this fails and I'm still reading and reviewing books at the last possible minute for the blog, I hereby give y'all express permission to pelt me with stones and drive me away from this whole community. Um, no. Please don't do that. Instead, how about you tell me what YOU think is the problem here? 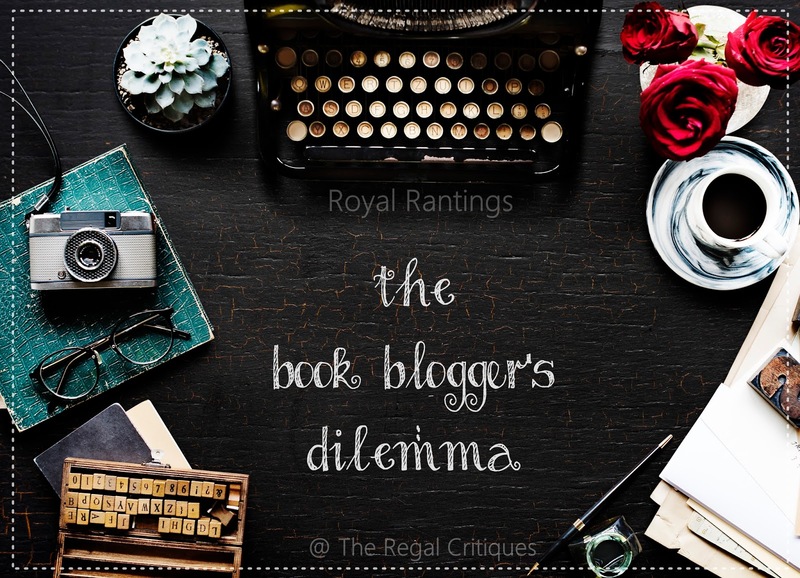 Is it my very approach towards blogging/reviewing that's the problem here or is this something all book bloggers go through at one point or the other? How can I come out of this seemingly endless rut? Help me out, please! I'd forever be grateful. First off, no, of course you're not alone. Each and every blogger seems to hit the same spot at a particular time - some of them even more than once. It's a combo of having busy lives (and being tired because of them) and doing the same thing again and again, plus - as you said - when it comes to reading, being too self-conscious because you already have the review thing at the back of your mind, and it does its best to get front stage. Now, for me, it's mostly the time management/tiredness issue (also, as you know, writing in an acquired language takes its toll, no matter how well-versed one is in it). But all the three problems I listed seem to plague the book blogging community as a whole, sometimes all together. And...don't give up on the other things you love in order to make space for blogging. You'll only "hate" it more because of that. It will turn into a real chore. Good luck on getting your mojo back! I know you can. I think it's completely normal to feel like that sometimes. But when it comes to reviewing, maybe it'll be good if you go in not thinking about the review because that will definitely make the whole process super tedious and blogging is not a job for a lot of us, it's simply a hobby. I think sometimes we forget about that. In my case, I was getting so fed up with having to review books that I didn't even have a lot to say and at the end, I decided to just review those I truly wanted to share. It also helps that I don't have deadlines. I don't accept books for review really and just read whatever. Not having that I think helps me a lot. Takes the anxiety away. I'm actually having a reviewing slump now too. I started off strong in January with all the Agatha Christie books, but when winter break ended and I went back to uni, I just had so much other stuff to do that when I finally had a moment to write a review, it just felt tedious. Like you, I'm going to try and dedicate some time every night for blogging and I'm also going to see if I can dedicate every Saturday to reading and reviewing (I mean, who needs friends on the weekends when you have books??) so I can get caught up. I always feel so guilty when months and months (and in a couple cases, years) pass after the date I promised a review by to the author/publisher and I still don't have a review out. Hopefully I'll be able to rectify that! I hope you'll find your way out of your slump, Ruz, and you find some good books in the process that might inspire you to write different kinds of reviews so you can get into reviewing again! I've been blogging for the past year and I definitely have times where I find it difficult to blog, so I imagine if you've been doing it for a while that it can really weigh on you. I think the best advice that I can give is this: change things up a little. Now, that can mean anything from mini-reviews that allow you to read for enjoyment but you still get to have blog content (less pressure, less formal reviews and more just whether or not you liked it), read completely different materials from time to time - what's the latest picture book, and why should an adult pick it up, etc., and re-reading a book you previously reviewed and give a second impression. Hopefully that sort of thing will freshen blogging up for you a little while you work on other things. Also personally, I like to read posts such as this one, so even if you aren't inspired to review a book, sometimes just talking about the blogging experience or doing question and answer periods, etc. can be a way to go until you find some books that inspire you again. I don't know if any of that will work for you, but if all else fails, it's okay to take a break sometimes. Wishing you all the best! You're definitely not alone in being fatigued by reviewing and having it lose it's appeal. Reading with the intention to review means you read differently so it's probably why you just don't want to. I think the key thing is to reduce the pressure you put on yourself. You don't have to review if you don't want to and you can switch up how your review. For books I love I like to write a '5 reasons to read' post because they are brilliant and a great way to highlight the things you love about a book. Or just do a quick bullet point post of pros and cons. Do something different and make it exciting. I do think you should do what you want on your blog. No pressure and just enjoy it. I hope you figure something out which works for you. It's meant to be fun so remind yourself of that next time it comes to writing a review. Bullseye! Because some of what you said totally struck a chord with me. Two things in particular. #1 - I definitely get burned out on reviewing. Not reading so much but definitely reviewing. Many times I finish a books and all I want to do is move on to the next. I have no desire to try to articulate in several paragraphs *why* I liked it. And #2 - Feeling like I write the same basic review over and over. OMG, yes! This occurred to me a while back and I felt like I was just saying the same thing again and again using different words and phrases. Gah! I actually did decide to mix up my review style and I find that it helps break up the monotony. Sometimes I do my “regular” review. Sometimes I do bullet points. Sometimes I divide it between what I liked and what I didn’t. It’s helped. I hope you find some alternative to help you break out of the blahs! I'VE BEEN GOING THROUGH THE SAME THING AS WELL. Fun posts are more appealing to write about, but reviews are just... I don't know. Not fun to write unless I feel strongly about the book. Lately I've been writing lists - with five things about the book or some other number - and I find that helps me somewhat. Sometimes it fleshes out into full paragraphs, which is nice. No one ever tells you that blogging is just plain hard. I've found myself over the years having to shelf other hobbies (Netflix totally counts as a hobby, right?) in order to keep up with reading and the blog. The last couple of years I've been writing mini reviews a couple of times a month, so I don't have that added pressure of writing a full review for every read. This year I actually took a pledge to just review less in general. I'm trying to embrace the sentiment that not every book has to be reviewed. I hope you find the right balance for you. It can take a while to get into the right groove.